It would be an interesting exercise to hold up the votes of legislators on certain bills against what both Jewish and Christian Scriptures say about supporting widows, orphans and other vulnerable people. It’s an illuminating exercise. Let us look at what two of the world’s major religions say about caring for vulnerable people. 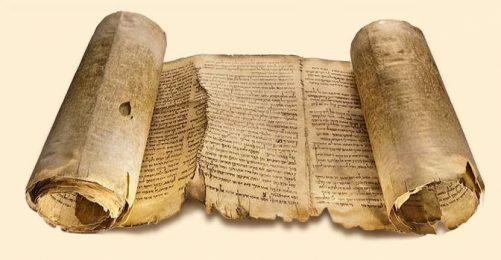 The Hebrew Bible (“Old Testament”) – sacred texts of Jews for centuries – covers a span of probably 1,000 years in the ancient Near East. Using the New Revised Standard translation, here are a few examples. This, it seems to me, is overwhelming evidence from the Jewish and Christian traditions that adherents are obliged to care for widows, orphans and other vulnerable persons in their midst. 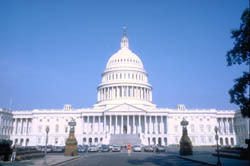 Democrats, other American progressives, and the vast majority of leaders and citizens in our sister nations, generally speaking, believe that the government programs that make up the social safety net – including but not limited to Social Security, Medicare, Medicaid, unemployment benefits, and health care – are the ways in which to carry out this “obligation to care” (whether or not religious tenets undergird their convictions). 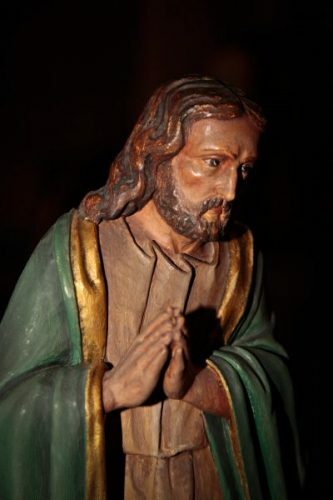 A significant number of our elected representatives at the federal level, Senators and Representatives, claim religious affiliation, with 91 percent claiming to be Christians of some kind. This strongly suggests that these officials would be expected to be aware of and actually subscribe to a Biblical mandate to care for the vulnerable in our society. I want to focus here on elected officials who claim affiliation with the largest Protestant denomination in the US, the Southern Baptist Convention. 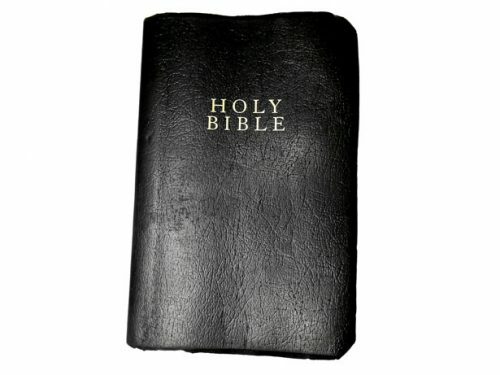 One of the primary beliefs of Southern Baptists is that the Holy Bible is the infallible word of God: “The Holy Bible was written by men [sic] divinely inspired and is God’s revelation of Himself to man [sic]. It is a perfect treasure of divine instruction. 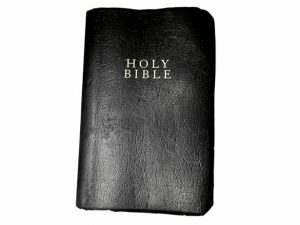 It has God for its author, salvation for its end, and truth, without any mixture of error, for its matter. Therefore, all Scripture is totally true and trustworthy.” (Note that many other Protestant Christian groups, such as the Episcopal Church and the United Church of Christ, revere the Bible but have much more nuanced perspectives on it, based upon critical scholarship, as I have outlined elsewhere.) A Southern Baptist legislator, therefore, would presumably subscribe to the Scriptural mandates we have noted above. decimating the budgets of government programs that support education, the arts, medical research, and other initiatives that benefit all of us. I want to be clear that I am not arguing that all Southern Baptist officials are proponents of all of these initiatives, but a look at a selection of them suggests that this does generally ring true. I am also not saying that these officials are horrible people; they probably are, in fact, generally honorable, honest and well-meaning. What I do want to stress is that their reasoning is fallible on social justice legislative issues, which is based at least in part on misreading Scripture from a hyperindividualistic rather than communal perspective. Southern Baptists assert, either overtly or by reason of their Southern Baptist affiliation, that they adhere to Scriptural tenets – which allows us to push them both on how they interpret Scriptural texts and how those interpretations relate to the way they vote. I believe the primary reasoning given by these elected officials for why they vote the way they do (and why voters support them) is twofold: “the market” and the states are the answer to most of our social challenges and the best way to meet the obligation to care. In other words, the solutions to our many social and economic problems, according to Southern Baptists and many other conservatives, lie with companies large and small, along with state governments and individual effort, not federal programs. While we all know that there are glitches and often waste in government programs, that companies and non-profit organizations do much good work, and that there is a role for individual initiative, the problem is that, in 2017, the majority of Americans fare much worse on most quality-of-life measures than the citizens of dozens of our peer nations, as I have pointed out in many other posts. These countries have capitalist economies – this is a crucial fact that our conservative representatives either ignore or actually lie about, describing them as “socialist” or even veering toward communist. But these sister nations have crafted, since World War II, robust ways at the national level to harness capitalism for the common good. What has happened in our nation, as Vermont Senator Bernie Sanders and others have pointed out for several years, is that our unique American “hypercapitalism” – “the market on steroids,” with few constraints – has almost exclusively benefited the top one percent of our population, to the great detriment of the 99 percent. The bottom line: if those of us who adhere to Jewish and Christian tenets of caring for the most vulnerable among us truly want to live up to our revered Scriptures, we must challenge the conservative congressional caucus – many of whom are Southern Baptists – on their misguided approach and, frankly, their hypocrisy. I might even venture to suggest that these legislators worship the free market, individualism and “states’ rights” more than they worship their God. As a Biblical scholar who has studied the New Testament and early church for over 35 years, I am convinced that the best of both Judaism and Christianity demands of devotees a true commitment to the welfare of the most vulnerable in our society. The official beliefs of the Southern Baptist Convention even include this directive! I thus strongly urge our Southern Baptist representatives in Congress to search their hearts about how these beliefs relate to their votes in Congress in the 21st century. Clements, Ronald E. “Deuteronomy, The Book of,” in Bruce M. Metzger and Michael D. Coogan, eds., Oxford Companion to the Bible (New York and Oxford: Oxford University Press, 1993) 164-68. Durham, John I. “Exodus, The Book of,” in Bruce M. Metzger and Michael D. Coogan, eds., Oxford Companion to the Bible (New York and Oxford: Oxford University Press, 1993) 212-16. Mason, Rex. “Malachi, The Book of,” in Bruce M. Metzger and Michael D. Coogan, eds., Oxford Companion to the Bible (New York and Oxford: Oxford University Press, 1993) 484-85. Murphy, Roland E. “Psalms, The Book of,” in Bruce M. Metzger and Michael D. Coogan, eds., Oxford Companion to the Bible (New York and Oxford: Oxford University Press, 1993) 626-69. Sawyer, John F.A. “Isaiah, The Book of,” in Bruce M. Metzger and Michael D. Coogan, eds., Oxford Companion to the Bible (New York and Oxford: Oxford University Press, 1993 325-29.